We want our business relationship to be based on an equal footing – to each time and in each situation. The necessary trust needs a clear language, as well as fairness and honesty – towards self and others. Therefore we provide a transparent and authentic view into our nurseries, into our values we live and our goals. Responsibility and Fairness remain significant cornerstones of our corporate philosophy. We’ve seen it as our core task to constantly search new compromising varieties. 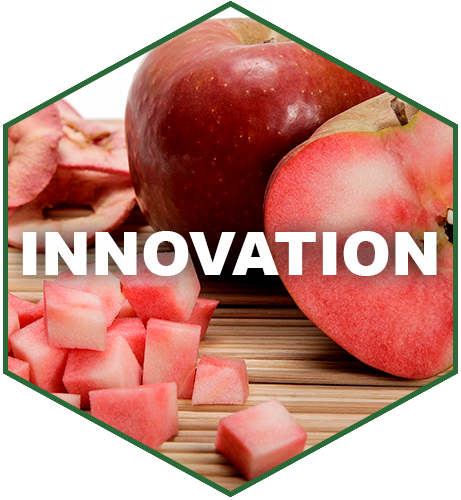 In this context, we want to create value throughout the chain, from producers to consumers. 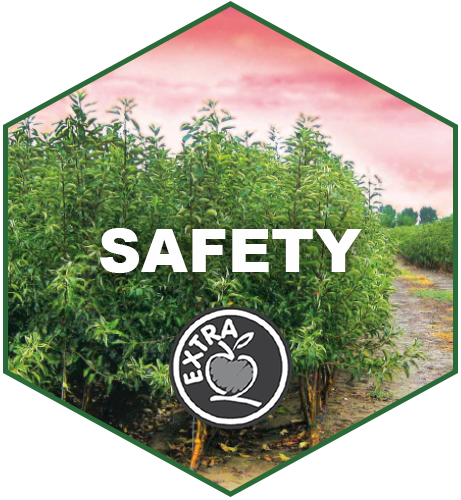 The prime concern of all growers is to buy young trees which will quickly bear fruit without overintensive care. 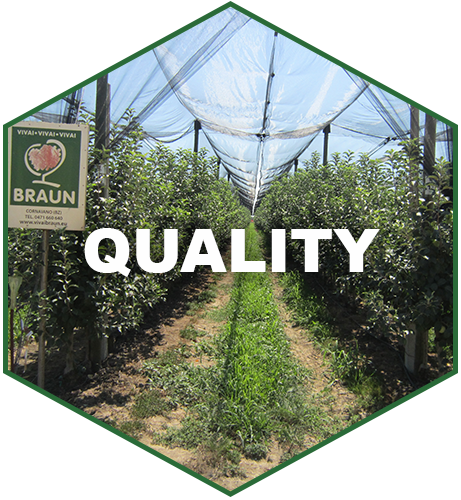 Braun Nurseries offers a broad range of varieties. 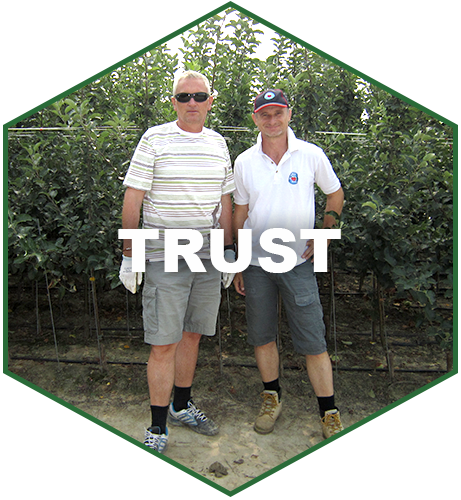 We place great emphasis on experienced consulting and we help you to find the proper variety for your orchard. To prevent bigger problems, questions will be clarified very quickly. In case there are unexpected difficulties, we assist you. 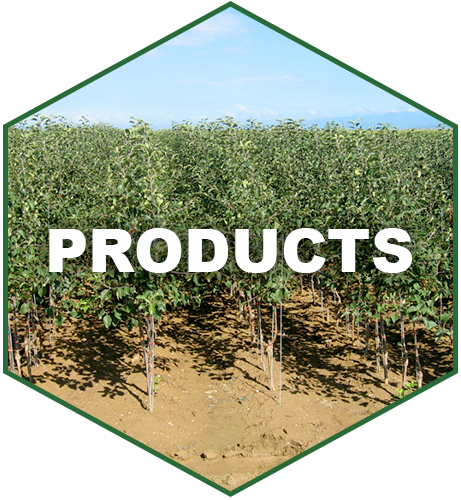 This service is very important to us, as we are also growers. Upon request, we keep our customers up to date and send them important information about newest developments of varieties and cultivation techniques. Find all varieties and brands on www.kiku-partner.com! ® indicates the registered trademarks. 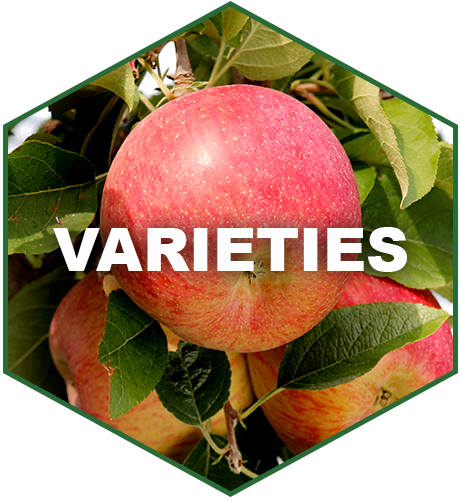 Apple varieties are indicated with a *.